Duncan recently went to Lagganoutdoor in Dumfries and Galloway for a two day stay in one of their fabulous Sea View Snugs. This is a stunning setting hidden in the glorious Galloway hills, with unbeatable coastal views. 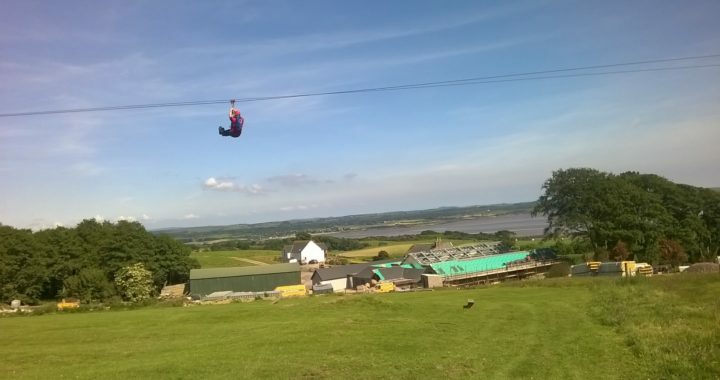 It is also home to one of Europe’s longest Zip wires, spanning 820 metres. His wife persuaded him to have a go, despite his fear of heights..the picture is evidence that he made it! It is also home to what will be a fabulous wedding venue which is opening late 2017 and already has many bookings for 2018. So if you love that part of the world, and there’s lots to love, and you’re looking for something different for your wedding; this venue looks extremely promising.